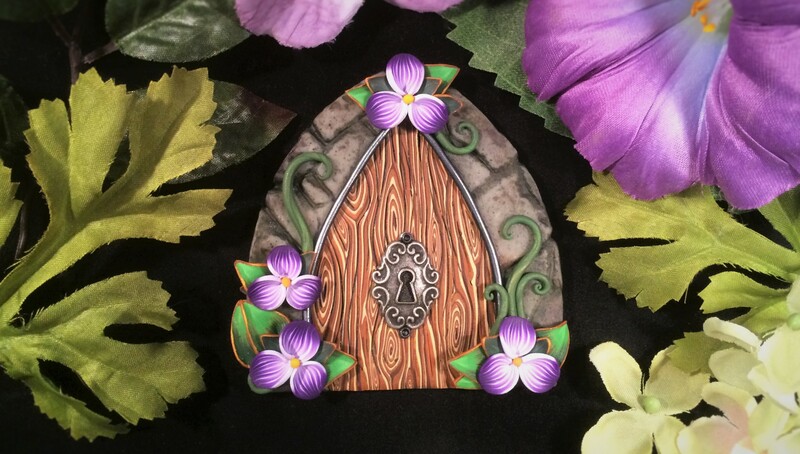 Jennifer Sorensen of Wishing Well Workshop brings delight to her readers and viewers by sharing the most adorable scenes, fairy doors, creatures, and little houses. Her work is colorful and whimsical and is always a bright spot in my Facebook feed. But even more lovely than Jennifer’s work is her relentless positive and supportive spirit, always eager to share a kind word and a smile with the people she meets. She’s just so much fun! Lately Jennifer has been teaching polymer clay classes and workshops locally in Denver, so make sure to catch one of them if you can. Read on to learn more about Jennifer Sorensen and find out what kinds of things she makes in Wishing Well Workshop. Tell us about your current work. What types of work do you do and what media do you create with? Currently I’m working on all sorts of projects! I teach at two Denver locations and have started up a workshop circuit to bring clay to private events. Planning workshops takes up many hours of my time and I really love bringing a plan together that beginners and advanced clayers alike can enjoy. In my workshop, I limit the amount of custom orders I accept so I can really advance my own creativity by working on whatever my heart desires. I think it’s very important for me to make what I like-not what I think others will like. The rule in my workshop is to always have fun first – no matter what! How much time do you spend working on your business in a typical day? I play in the workshop when I’m not working at my part-time custom framing job. It’s important for my soul to play with clay every day, so I schedule time to do just that. When I’m not just creating from my heart, I’m researching, shooting video for my YouTube channel, planning workshops, organizing, keeping up social media/paperwork, working on photography, or experimenting with new techniques. I truly love ALL of it. I’ve been married to my wonderfully supportive husband for 13 years. We have three kitties (our little babies) Zooey (rescue), Zina (rescue), and Zeke (too cute to resist so now we have three cats ha!). We love fighting over who gets to cook, and long Sunday naps. I let him win today and he’s making dinner now. What are your other hobbies and what do you do when you’re not claying? I love to paint, so when I need a clay break I break out the canvases. I also enjoy singing and playing piano. Music is a very important part of my life, right alongside art. I love cooking too, but not today, because the husband won that fight, remember? I was raised in Montana but did most of my growing up in colorful Colorado! I would love to get back to MT someday, live on Flathead lake, and enjoy those Montana mountains and lakes forever and ever. I live in the Denver, Colorado, area. It’s a great city for the arts! Do you have any art training? I studied animation and fine arts at The Minneapolis College of Art and Design in the late 1990’s, but am entirely self-taught when it comes to polymer clay, besides one Christi Friesen class. What is your art/craft history? I’ve been creating ever since I can remember. I am lucky to have supportive family around me to encourage and help me participate in art and craft shows. I had my first clay booth at the age of 13 and was instantly hooked! Any pics of earlier work in other media? Since I love painting I’ll include this Bob Ross inspired piece. I had an oil painting station in my basement when I was a kid. There was a little TV with terrible reception, but I painted right along with Bob anyway. I painted this seascape when I was 14. Have you been featured in any publications? Polymer Cafe magazine published my work in the June/July 2016 issue. I submitted some photos for a caning challenge and was very honored to be included. A dream come true! 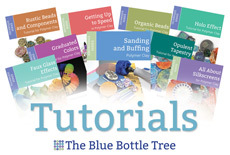 How did you get started with polymer clay? When I was a kid I went to an outdoor craft fair where I happened upon an artist making polymer clay figurines. I was in awe of how tiny and detailed and adorable they were! The vendor told me and my mom to get some Original Sculpey clay and some acrylic paints. I’ve played with clay ever since-nearly 25 years now. I am drawn to the child-like feeling I get when I play make-believe with clay. The sky truly is the limit with this magical medium. What brand of clay do you use? I work with all Sculpey clays, but Sculpey Premo is my go-to for most projects. Wishing Well Workshop is the happiest place I can think of because well wishes surround everything that comes from it! All of my ideas and imaginings exist in there so when I walk in I feel flooded by motivation, possibility, and a little bit of magic. I sell my work in craft and art shows across the Denver, Colorado area. My husband’s family has a craft booth in some shows, so I get a little spot with them. Fun to do together! I do sell my work online occasionally. A query through my Facebook page is the best method of contact for pricing info. Are there any advice or tips that you can offer that have helped you get good results? You must have fun! Make what makes you smile, what makes you happy, what makes your heart sing! Learn all you can about your very favorite part about clay and make it your own. The best results are when you make something you are very proud of and happy to share with others. 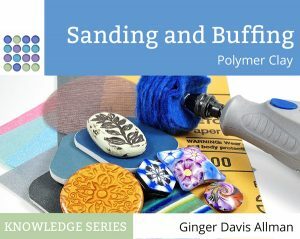 Check out Jennifer’s video explaining a great way to make a coordinated color palette for a polymer clay project. Can you tell us a story of a time when you had an epic failure? If you resolved it, how? Oh, goodness I have failures every day! How much clay has gone in the trash? A LOT. That’s part of my process. Ok-THAT didn’t work. Noted. Now let’s try it another way. There that’s better! If I let all the failures get me down I would put the clay away forever. One of the wonderful things about clay is if you get really frustrated you can just smash whatever your working on and start again! It’s quite stress relieving that way! Failure is part of learning. I really hope I never stop failing. I find great joy in teaching. I’ve been teaching for a year and it’s the most fulfilling “job” I’ve ever had. The way my students impress me is the ultimate success. I take great honor in being a part of their clay journeys and treasure the time I spend with them. I would love to keep teaching and see just how far my little clay voice can reach in this big world! As you’ve heard Bob Ross was a great influence for me! He taught me to how paint and that trees are happy. He’s right, ya know. Find happiness everywhere. But as soon as I could draw I wanted to make it move so Walt Disney is my original inspiration. I didn’t want to be the princess, instead, I wanted to draw the princess and bring her to life. I hope my viewers feel a sense of animation and movement in my claywork – like it could come to life at any moment! What artists do you admire and who are some key influences? Oh I admire so many clay artists and colleagues so I’ll just thank a few of them! Christi Friesen-I loved your work, took your workshop, and took some notes. Now I love teaching clay workshops more than anything. Thank you for helping guide my teaching path with your inspirational style. Can’t thank you enough! Lisa Lambright-I was happy I went to Christi’s Creative Rave at your venue so I could meet YOU! Thank you for asking me to teach at The Great Create. You support artists’ visions and it’s so important and appreciated. Your generosity humbles me. Teresa Salgado-You taught me how to cane! Once I wrapped my head around your marvelous pandorification technique a whole new chapter of my clay journey began! You’re just the best and I can’t thank you for your guidance and motivation. Cindy Lietz and of course Ginger Davis Allman-You girls are my clay encyclopedias! Whenever my crazy brain has a crazy idea you crazy girls have probably covered it! What would we do without your experiments and knowledge? You are SO thanked. I’d also like to thank my local Michaels store. The folks there have really encouraged and supported my artistic and teaching visions with such kindness. I’ve met true friends and mentors there. I stand in admiration of so many who have helped me on my way, and am thankful everyday. For all of it. Where can we see more of Jennifer Sorensen? There’s always something fun happening at Wishing Well Workshop! I post different things on different sites, so take a peek at all of them. Good sources for upcoming events, mini tutorials and tips, and super fun giveaways! Feel free to pop on by, ok? All photos courtesy of Jennifer Sorensen. Inspiring interview. I’ve discovered a new favourite to follow. Thank you Ginger and Jennifer. Thank you so much, my friend! Here’s another one!!! Great interview! Bob Ross was a friend of ours in the 70’s and was as kind and happy as he appeared on his show. We have several of his Alaska snow scene paintings. Jennifer, you are truly an inspiration.